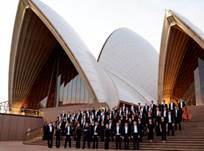 [9 May 2017, Hong Kong] The Hong Kong Philharmonic Orchestra (HK Phil) Chief Executive Michael MacLeod today announced that the HK Phil Tour 2017 to Seoul, Osaka, Singapore, Melbourne and Sydney has been an outstanding success with standing ovations and capacity houses. Mr. MacLeod said the response by audiences during the 5-city tour had been overwhelming from Seoul on 16 April, 2017 to the final performance at the Sydney Opera House on 5 May, 2017. “This has been an amazing, exciting and historic tour for the HK Phil, introducing Asia’s leading orchestra to a whole new audience as well as showcasing our talented musicians during our first ever performances in Australia,” Mr. MacLeod said. “The HK Phil, led by our brilliant Music Director Jaap van Zweden has wowed concertgoers in every city we visited, as well as showcasing the exceptional musicianship and creativity within our wonderful orchestra. “Congratulations also to our guest virtuoso violin soloist Ning Feng for many breathtaking performances. I’d especially like to congratulate composer Fung Lam, whose commissioned work Quintessence, was premiered in each city we visited. Showcasing an original work by a Hong Kong composer as part of the tour programme highlights our ongoing commitment to encourage the development of home grown talent” he said. 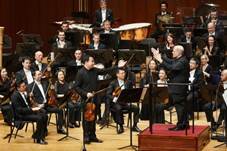 HK Phil Music Director Jaap van Zweden said the audience response in all cities was heart-warming. 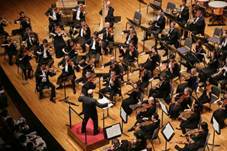 “This tour has been a wonderful experience, not just for me but also for the orchestra. The audience in each city has been magnificent, and their responses have been tremendous. 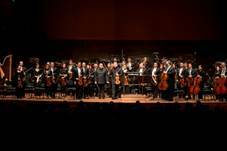 The HK Phil is an exceptional orchestra and this tour has helped cement our growing global reputation for excellence,” van Zweden said. HK Phil Chairman Y.S. Liu thanked the Government and the HK Phil Tour 2017’s sponsors, Cathay Pacific, The Wall Street Journal and The Langham Melbourne for their invaluable support for this historic tour. “Touring the HK Phil is an enormous undertaking and would not be possible without the generous support of all our wonderful sponsors” he said. 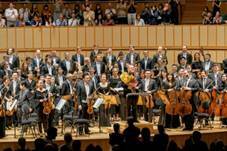 The 2017 tour celebrated the 20th anniversary of the establishment of the Hong Kong Special Administrative Region (HKSAR) and was presented by the HK Phil in association with, and supported by, the Hong Kong Economic and Trade Office in Singapore, Sydney and Tokyo. Jaap van Zweden, one of today’s most sought-after conductors, has been the orchestra’s Music Director since the 2012/13 concert season, a position he will continue to hold until at least 2022. In addition, Maestro van Zweden will also be the next Music Director of the New York Philharmonic starting with the 2018-19 season. Under Maestro van Zweden, the HK Phil is undertaking a variety of initiatives including a four-year project to perform and record Wagner’s complete Ring of the Nibelung. Also under van Zweden, the orchestra has toured to Taiwan, Europe and Mainland China, and just completed an ambitious five-city tour to Seoul, Osaka, Singapore, Melbourne and Sydney in April and May 2017 in celebration of the 20th anniversary of the establishment of the HKSAR. Thanks to a significant subsidy from the Hong Kong Government and long-term funding from Principal Patron Swire, the Hong Kong Jockey Club and other supporters, the HK Phil has a full-time annual schedule of classical music concerts, pops concerts, an extensive education programme, as well as collaborating for staged opera with Opera Hong Kong and the Hong Kong Arts Festival. The Orchestra marked its 43rd season as a professional orchestra in 2016/17.